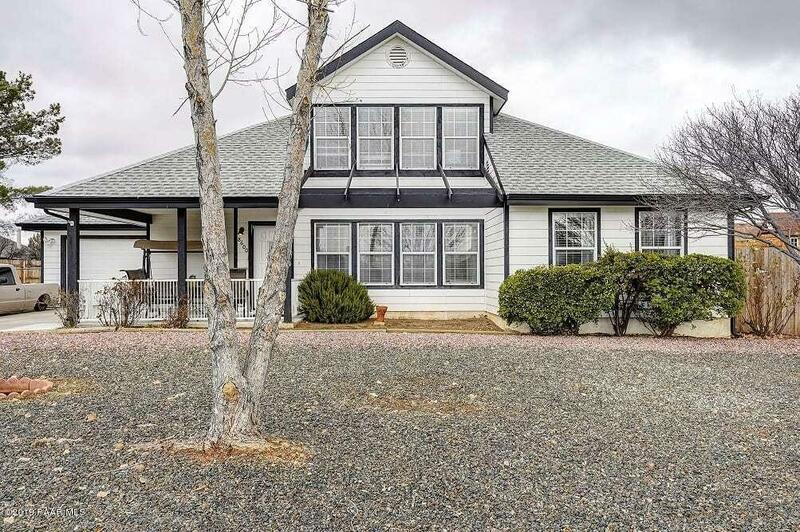 Stunning home in a quiet cul-de-sac of this highly desired Prescott Valley Subdivision. Gorgeous New Aspen Luxury Vinyl Flooring, Remodeled Kitchen with Granite Countertops, Copper Farm Sink, Butcher Block Center Island, New Hardware and Painted Cabinets. Every Room has New Lighting, Hardware & Blinds. New Bathroom Sinks, Faucets and High-efficiency Soft-close Toilets. This warm, inviting home is saturated with natural light and your own private Gazebo and Play Area await you outside in the fully-fenced yard. A front porch plus mature shade trees finish off this rare find.